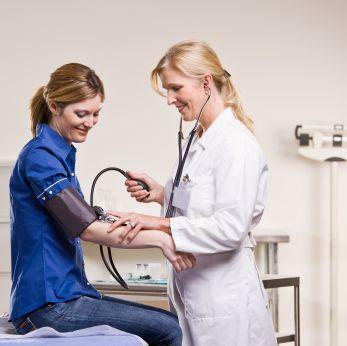 Does Acetyl L-Carnitine Affect Blood Pressure? Can Acetyl L Carnitine cause high blood pressure? This is an important question if you are considering taking this supplement if you have, or are at risk for, high blood pressure. Acetyl L-carnitine, or ALCAR, is a form of L-carnitine. It is useful for converting fat into energy, and because of this is frequently taken by body builders and other athletes who believe it will also help them to build muscle and decrease recovery time from intense workouts. ALCAR is an effective antioxidant and also may help increase energy. There is evidence that it can improve mental function and is being considered as a treatment for Alzheimer's. If you are pregnant or breast feeding you should not take ACLAR. Not enough is known about the effect this supplement will have on the baby in these instances. It should also be avoided if you have an under active thyroid because it may interfere with the thyroid hormone. If you take Cisplatin (a chemotherapy medication), didanosine or stavudine (for HIV), or Paclitaxel or Taxol (for cancer) you should not take acetyl l-carnitine. These medications can interact with the supplement causing side effects. Acetyl l-carnitine may have other contraindications as well, and because it may not be FDA approved you should discuss it with your doctor before supplementing. Can Acetyl L Carnitine Cause High Blood Pressure? There is some evidence that ALCAR may actually have the effect of lowering blood pressure. This is due to increase of brachial artery diameter that this combination of nutrients will cause. This effect is most notable in people with metabolic syndrome, likely because it increases the insulin sensitivity in patients. It is important to note that more research needs to be done on these findings. In one Italian study, when taken for 24 weeks, acetyl l-carnitine not only lowered blood pressure but also stabilized blood sugar in patients. In light of these studies,the answer to the question "can acetyl l carnitine cause high blood pressure," the answer would appear to be "no." ALCAR is being used in studies for the treatment of Alzheimer's Disease. There is also evidence that ALCAR may be useful in the treatment of erectile dysfunction and male infertility. Studies in aged rats have shown ACLAR helpful in improving mitochondrial function, due to a reduction in oxidation. Those with Parkinson's disease, Down Syndrome and depression may also benefit from this supplement. More research is needed to validate the value of ALCAR for these applications. When taking supplements, typical doses are 500 to 2000 mg per day according to the Linus Pauling Institute at Oregon State University.